I’ve spent a lot of time over the last year bridging the gap between two groups of people. I don’t have a good term for the first group– implementers, maybe. They describe themselves as the folks “in the trenches” actively making changes and additions to the project. Then there’s management– the producers, the leads, the people with direct reports, and increasingly, directors and executives. 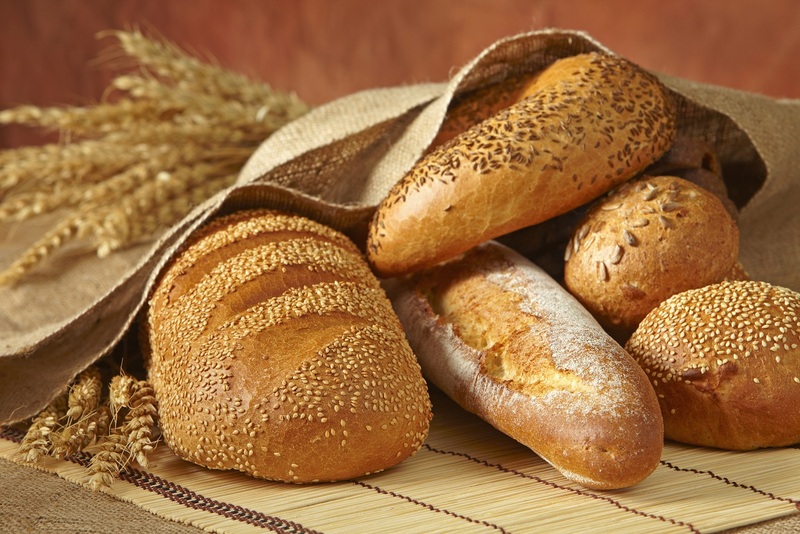 The two groups tend to think of themselves as separate. I’ve noticed, at least in the games industry, that it’s much more pronounced on the implementer side than the management side. In games, the studio structure tends to mean that the management layers actually in the studio are often considered “in the trenches”, particularly since a lot of them do the same work as the implementers. Beyond that, though, you get what’s often termed “the publisher” or “corporate”. There tends to be a layer of distrust somewhere in there, on one side of which are the implementers and on the other side is “management”. I remember a producer, once, who became a studio hero when she went to the publisher to fight for more time and resources for the team. I was relatively new to the industry, but I remember other people talking about how she was “one of the good ones” and similar positive associations with the implicit suggestion that she was the exception to the rule. I recently had a classmate, a senior manager, talk in glowing terms about one of his employees, someone who had taken some extra time to fill him in on the technical details of some project, and volunteered to join him in a meeting to explain them. He’d expressed that he often felt like his employees would exploit his lack of technical knowledge to get away with various things, and having someone take the time to explain and help out in a meeting was hugely valuable to him. Listening to him, I couldn’t shake the familiar sound of “this was one of the good ones” and that implication that the person was the exception. At the same time, I’ve noticed something about the management sphere as I’ve entered it and spent more time there. Networking is hugely valuable, and almost ritualized. It’s rather more than just meeting people over drinks, although it’s often that also; there’s a structure to it that doesn’t exist in the meetings I’d often attend with game industry implementers. I’ve started to figure out what the difference is. It goes back to the examples above– the communication that is valuable and important. 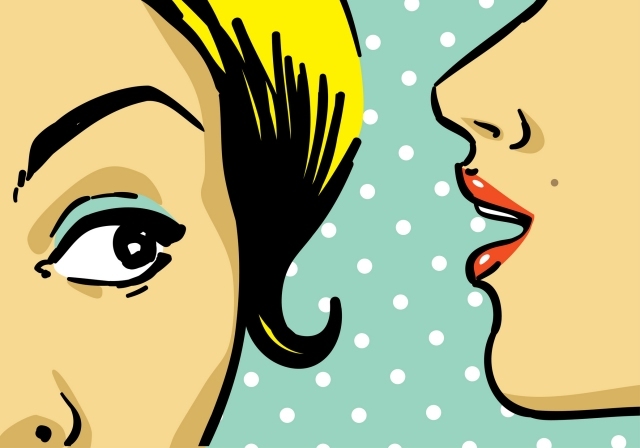 The old adage “talk is cheap” is misleading– it might be cheap, but it’s incredibly valuable. Having a producer go out and advocate for their team, or an employee advocate for their boss, is a hugely endearing thing. It bridges gaps, it forms bonds, and it galvanizes relationships. I’m starting a new job this morning, and I have it through a series of people who have all advocated for me. A classmate who I got to know well put me in contact with a firm who, upon meeting and talking with me, advocated on my behalf for the company I’ll be working for. Rather than consigning endless resumes to the void and going through interminable interview sessions with very little give and take, I instead had a variety of conversations about what they were looking for, what I was looking for, and how we could meet in the middle, and had a verbal offer before leaving the one and only 90-minute interview I had. I benefited hugely from others advocating for me. In games, it’s often said that it’s “all about who you know”, which is true– it’s much easier to get a job if you know someone at the studio you want to work for who will, as above, advocate for you. What I’ve noticed in the management sphere is that what that advocacy looks like is very different. The business world has an ingrained understanding of exchanges, and since so much of it is about communication, exchanges of social currency are often understood. Those networking meetings are effectively interviews without specific positions; you meet people with the goal of finding personalities and skills that fit with needs you can think of. When you find someone, you know who to talk to– often someone who you’ve got a relationship of some kind with. “I used to work for X, I know they’re looking to fill my old position, let me talk to a friend of mine there”. I wondered, when I first started meeting people in the business sphere, why everyone was so enthusiastic about helping others find positions if they wanted them. When I’d see the conversations, I’d just assumed those people were close friends, and it wasn’t until I had people advocating for me that I realized what was going on. The advocacy helps both sides, and the advocate benefits twice. People are looking for opportunities to advocate for others. It mirrors what I’m used to in games, where everyone helps everyone else find jobs, because no one knows when it’ll be them looking for a job. For me, it was familiar, and comforting to know that the two groups were not that different; one just had words for what they were doing. I think one of the most valuable things I’ve learned from my MBA program is this structure of advocacy and how to do it properly. I’ve started watching for open opportunities and developing a sense of fit– who might I recommend who would fit in this kind of position? Who I know is suddenly just as valuable as what I know, because once I’m no longer directly implementing, my job revolves around communication, and knowing lots of people is as important for a communication-focused job as technical skills are to an implementation-focused one. One of the things I want to look into as I point my newfound business managment knowledge through the lens of the games industry is how to foster advocacy between groups that are usually separate and distrustful of one another. More than anything, that advocacy drives strong relationships, and fostering that kind of environment can only be good for communication and understanding. Polygon did an article about impostor syndrome recently, which I thought was rather good. It’s absolutely something I struggle with, and it’s something that virtually everyone I know feels to a greater or lesser degree. We’re all looking at someone else, who’s achieved more, done cooler or more successful things, and point to them as the kinds of folks who have it all together. It feels like we’re just a step away from someone realizing we don’t really know what we’re talking about, while people who actually know what’s up are the real successes. Just browsing Facebook right now, scrolling through updates, I can see at least ten different people expressing impostor syndrome, making comments like “wow, this game is so great, I’m doing something wrong” or “I wonder what it’s like to actually be good at [whatever]” or “I hope no one realizes I have no idea what I’m doing” and similar sentiments. These are mainly very intelligent people, who are smart enough to know that they don’t know things and are concerned about getting called out on what they don’t know, what they haven’t accomplished, or what they’re missing. Last year, I basically turned my life upside-down. I left my job to focus full-time on my MBA, with the intent to transition careers from something on the game design / implementation side to something on the management side. After a brief stint at a local Baltimore program, I found myself frustrated with the program and looking for something that would get me more what I was looking for– something that would get me out of Baltimore rather than build my network within it. I transferred, purged most of my possessions, and moved across the country, to a city where I knew three people and had had relatively little contact with all of them. I’ve told this story to people, and I’ve had them describe me as “brave” for taking the risk. Whenever I hear that, there’s a part of me that instantly denies it. I tell myself that the difference between the brave and the very stupid is success– this choice I made was brave if I can make it work, and very stupid if I can’t. Like any risk, it’s hard to tell if it was a good move or a bad move except after the fact. There’s been some unequivocal good that’s come out of it. I’ve become much closer with my friends who live here, closer than I’d ever been before I moved. I’ve had time and distance to reflect on myself and what I want, and that’s a clearer picture than ever before. My coursework is legitimately compelling and interesting– the program I’m in here is very good, and I really enjoy it. It’s forced me to grow in ways that I wouldn’t have if I hadn’t moved. For the first time in years, I’m happy, and it’s happiness that’s not contingent on having everything I want. At the same time, there’s this nagging feeling that it could all evaporate. It’s not stable, at least not until I can sustain and support myself, and I’m keenly aware of every passing day. I worry irrationally that someone is going to say “wait, what are you doing here thinking you can manage and lead people? Don’t you just make games?” I worry that if this doesn’t work out, I won’t have a fallback; I won’t be able to go back to working in games so easily if it came to that. I deeply worry that any apparent ability on my part is a combination of bluster and luck, and I’m not actually capable of any of the things I think I am. Compounding the problem is that I’m rational and very good at rationale. I can justify these worries with evidence, to the point where I’m not even aware I’m doing it and I can’t tell if it’s a reasonable concern or an irrational one. I don’t have a job yet because I can’t actually do these things I think I can do. I do well in class because the work is easy and everyone in the class does well, not because I’m any good at it. I’m not insightful, I’m just stating the obvious. When people talk about impostor syndrome, I can relate. For nearly every accomplishment I have, I have a reason why it’s not all that impressive, or a counter-example. I am waiting, eternally, for the other shoe to drop. It makes me reticent to speak my mind, or be honest about my thoughts, because what if someone calls me out on how wrong I am all the time? Moment of truth: some days the only thing that keeps me writing this blog is the general belief that no one really reads it. It’s a continual shock to me when someone comments and says they’ve read it. I tried; right now I can’t. I’m trying to get there, though. Instead, for anyone reading this for whom the feeling resonates, let me pass on my classmate’s sentiment. You’re great, and you’re way too hard on yourself. Give yourself credit– I may not even know you, but I know you’re more awesome than you realize. Take the time to appreciate yourself. Warframe and Destiny have a lot in common. They’re structurally very similar games, with the main differences being in the former’s emphasis on movement and the latter’s emphasis on tight gunplay. They also both have stories to tell, but are doing their best to stay out of your way while they sorta-tell them. They’re both doing a sort of osmosis-storytelling, where hints and pieces are meant to come together to form a narrative whole, rather than a linear storyline. In both games, the story is the world you inhabit, and like the real world, the amount of story you get from the world around you depends on how much you’re willing to look for it. Neither game tells its stories very well. Warframe is better in that at least the story in the game can be viewed in the game, and when it does present questlines they’re coherent within themselves. Destiny, at least pre-Taken King, was largely incoherent and finding anything out about the story relied upon spending time reading websites rather than playing the game. Warframe’s tutorial is one of those coherent-within-itself storylines, and it and the first major questline following it both do a fairly good job of introducing the various factions you’re fighting. You’re first introduced to the Grineer, one of whom is planning on taking you prisoner for some kind of biological experiments, and callously disregards you in general. He’s a pretty reasonable starter villain, though it’s fairly clear he hasn’t thought his plan all the way through. In that first mission, you’re introduced to the Grineer and to Lotus, your eye-in-the-sky, mysterious companion who more or less explains what’s going on and why you’re doing what you’re doing. By the end of the first mission, you’ve got a pretty good reason to fight the Grineer and you’re at least aware that Lotus is trying to help you, though her motivations aren’t exactly clear. By the end of the tutorial, you’ve also met an arms dealer who is, presumably, how you do your shopping via the game’s market (though the timing of this is awkward), and you’ve rebuilt your own spaceship to get around from planet to planet. You know you’re some kind of warrior, and you’re markedly more powerful than the average soldier you face. Depending on how much you listened to dialogue, you may also have picked up that the Grineer are, for one reason or another, obsessed with genetics and that the Corpus (another major faction) are basically war profiteers who set up conflicts so they can profit off of them, like an evil megacorp. Closing out the major factions is the second major questline, wherein you go to find out about Grineer biological weapons and uncover the Infested, a zerg-like swarm of nasty biological creatures that, well, infest and destroy. You don’t need a lot of motivation to fight these things. Then we get to the rest of the game’s story. First off, it’s hard to figure out how to even experience it, or in what order. There are questlines on the Market, blueprints that, once completed, unlock a questline for you to do that fills you in on some kind of story or another. Many of these are tied to warframes, so in addition to getting some story you also get to find and build a new frame for yourself. 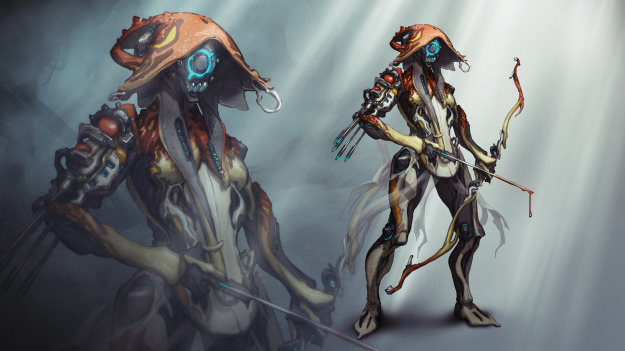 Doing “The Limbo Theorem” gave me a good insight into the original owner of the Limbo warframe, and by association a somewhat better understanding of the concept of the warframe in general, and why I can hop between these biotechnological suits. There are also deeply hidden quests. One quest I found by scanning a random drone in a mission I was doing, only to later discover that by scanning it I’d unlocked a quest. I have no real idea where this quest is going, or even what it’s about. I haven’t delved into it yet, but I’m intrigued at digging up more (probably literally, the Limbo Theorem involved a lot of excavations). On the other hand, there’s Alad V. Alad V is a boss on Jupiter. Like many bosses, he’s got something of a personality and taunts you (creepily) as you approach him in his boss level. Bosses’ stories tend to be contained to the boss levels on each planet, so you don’t get a lot of lead-in, but you gather relatively quickly that Alad V is some kind of mad scientist and wants to test some kind of new creation on you. You defeat him, like you do, and like many bosses he doesn’t show up again. Except he does. When I logged in for the new event today, I was greeted by a face I didn’t immediately recognize, telling me he was “calling in his favor”. 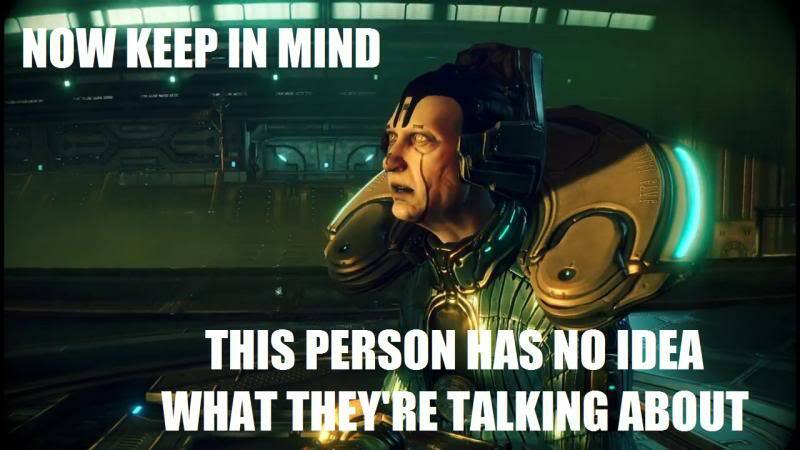 It was apparently Alad V, that guy I fought on Jupiter, and I have no idea what he’s talking about. I don’t know why he’s alive, I don’t know why I’m doing missions for him, I don’t know why I apparently owe him a favor, and I certainly don’t know where to even look for the story I missed in the process. If this event is more story, I’m forced to wonder if there’s more story in events that have already passed, that I know nothing about and may be referenced by future events. I’m not inherently bothered by this, honestly. I like the idea of a game with history, where events move forward and past events change things but aren’t repeatable. What I don’t like is the game assuming I know what it’s talking about when even a basic check on my completed-mission flags would make it blatantly obvious that I have no clue. If this quest had started with a message from the Lotus telling me that she owes this Alad V guy a favor, and that she needed my help with it, I’d be more on board. 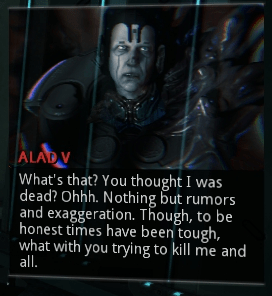 There could easily have been an event that explained in great detail why the Lotus owes Alad V a favor, possibly due to player actions during that event, but I don’t need to know that for her request to make sense as a new player. 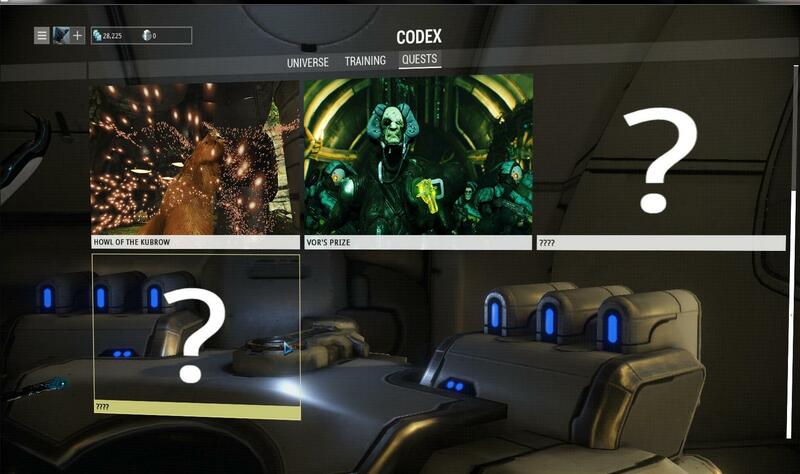 Even the existing message followed by a quick flag-check that triggered a message from the Lotus saying “That was confusing, let me try to help, I’m going to upload some dossiers to your Codex for you to look over and make sense of that” would help a lot and make sense, AND drive me to look at my Codex to figure out story stuff I might be missing. Even if the message was jarring, I’d at least be able to quickly and concisely catch up to a point where it did make sense, kind of like a comic book recap. Instead, I have a guy calling in his favor out of the blue, and the only time I’ve seen this guy is when I was shooting him in the face as he tried to test his death robot on me. I’m not really inclined to give him the time of day, much less do work for him. I’m gamely playing along because it’s an Event, and events have neat missions and cool loot, but I don’t have much of a narrative motivation; indeed, I have the opposite of this. The event’s story revolves around powerful assassins hunting Alad V, and me going to help him with that, and I really don’t know why I’m not on the side of the assassins with this one. To their credit, the assassins also don’t seem to know why I’m not on their side. Luckily they don’t seem to harbor much ill will towards me for it, more pity than malice. When Warframe tells a coherent story, I’m interested in it and I like following along; it makes me better understand the game’s setting and I find the setting interesting. I just wish I knew how to get it to present its story to me in a more directed, coherent way, or at least how to know what story bits to do next, and where to find them. I learned to type quickly, efficiently, and accurately playing Everquest. While other people I knew were enrolled in typing classes to increase their speed and precision, I was trying to keep up with my Befallen group, letting them know between heals that I was low on mana, and had about three pulls left in me before I needed a rest. I learned to communicate on the internet through text primarily. When I started raiding in World of Warcraft, VoIP was still relatively new; the idea of logging onto a server to talk with internet strangers was a bit much for a lot of people. I thought it was fascinating, and quickly joined the server. If memory serves, I was one of the first, and I realized that when I spoke out loud, people would listen, largely because I was one of the only people (in a raid group of 40) who would talk aloud. Eventually, the raid required that people at least log into the server, though no one was required to talk and we kept a close eye on the chat log. Over time, we got comfortable with each other and more and more people spoke. There was always a miniature celebration when someone who’d lurked for months or sometimes years would finally speak up– it wasn’t always great for people’s anxiety about speaking to begin with, but it was as welcoming as any of us knew how to be. We were always happy to hear a new voice, and I know a lot of people built up confidence in just talking to others through our raid– I know this because I was one of them, and I’ve talked to others. Now, pretty much all of my in-game communication is over voice. 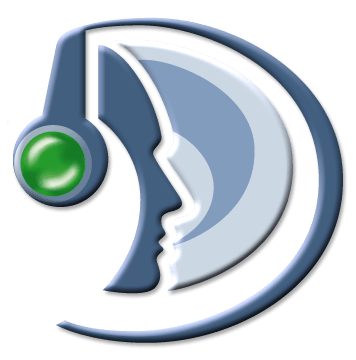 When folks are all playing the same game, voice chat is hopping and busy, with people congregating into one or more channels to play games together, or even just chat while we play. 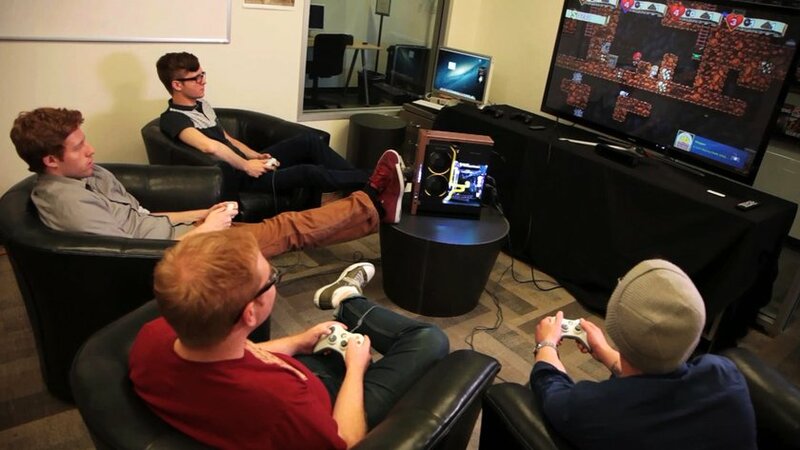 It’s so embedded into my sense of gaming that I (and others) have arranged our gaming spaces so that we can sit on voice and play games together, even if we’re on a console and not the PC. It’s like an extended living room where we’re all playing together, except better, because we can customize it for our own comfort. I occasionally run into other folks who are reticent to log into voicechat, or shy about speaking. I understand it; I was there once. My approach now is the same as it was then– if someone feels like joining the server, great! If not, no worries. If we’re doing something where they absolutely need to listen, I’ll ask that they log in and listen; but no one is ever required to say anything. At this point, it’s pretty comfortable, I think, and I hope people feel welcome joining us. I get a lot out of being able to communicate verbally with my teammates while in a group. It makes the experience feel a lot more “multiplayer”, to me, to the point where even playing with others in a game without voice, I feel like I’m playing solo. If I feel like playing alone, I’ll simply not log into voice, though more often I’ll join voicechat even playing a solo game. One of the things I really want is the ability to loop services like Teamspeak and Ventrilo into my consoles. One of the things that keeps me off of playing games on my console is my inability to use the VoIP server that my friends hang out on. I would pay good money for a controller with a push-to-talk button and a plugin for Teamspeak. If one of the major consoles released with Teamspeak support, I’d likely use it exclusively for my console gaming, and I’d get to spend more time on my comfy couch. At this point, I can’t imagine not having the group of folks to log in and “play games with”, even if we’re all playing different games. 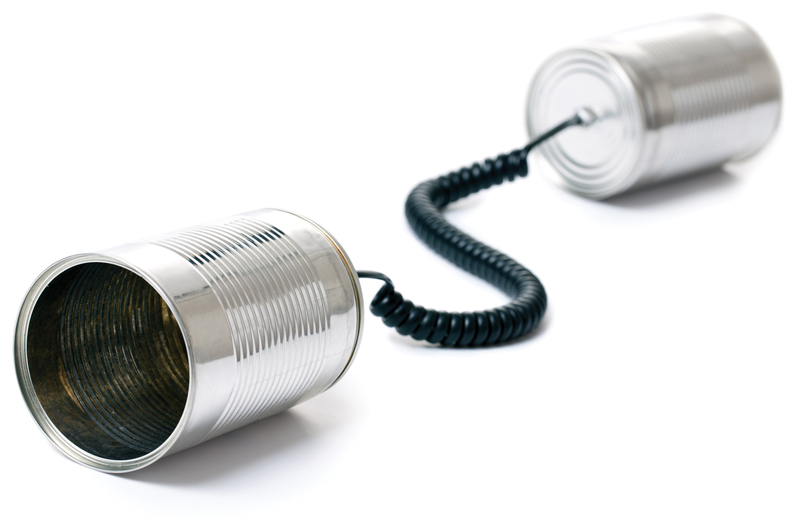 When voicechat is quiet, or there’s a lull when people aren’t around, it often feels like something’s missing for me. I had a conversation with a friend recently about Infinity tables, and how important layout is when playing that game. As far as tabletop minis games go, Infinity isn’t unique in having a lot of the game hinge on terrain, but it’s a lot more honest about it. The game is obviously unplayable with poor or no terrain, and both players will realize this quickly. 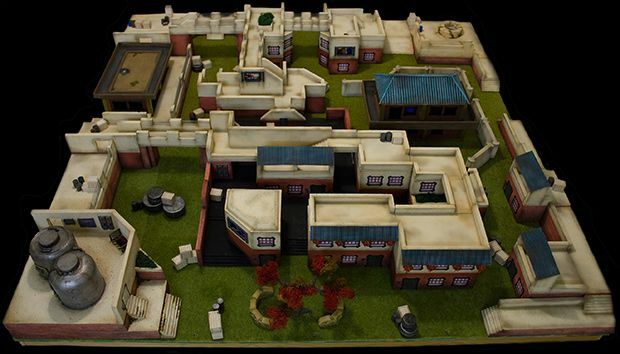 Compare this to a game like 40k or Warmachine. In 40k, Dark Eldar want terrain to hide behind if they aren’t going first. If they are, they run a serious risk of getting shot off the table before getting to do anything. In Warmachine, several factions have a lot of Pathfinder units that benefit from rough terrain or forests or both– a board with none of these suddenly becomes an uphill battle for them, and factions without Pathfinder struggle on boards with a lot of terrain. It’s an unequal distribution which causes issues at the game level and skews the “competitive” selection of units for both games. Spending a lot of the weekend playing Warframe made me think about Infinity terrain as well. 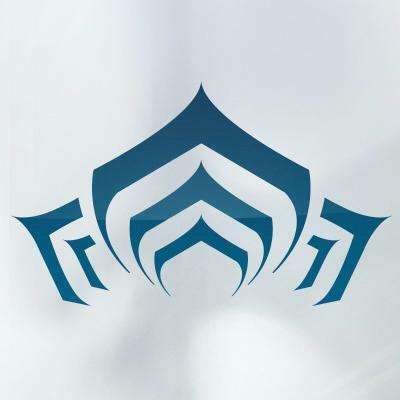 Levels in Warframe are randomized, but they’re highly interactive. Maps are made up of cells (or tiles) which are hand-designed, attached to each other through connectors (hallways) and the occasional smaller room, all put together to form a map for a level. It’s a surprisingly elegant system, and despite how important level design is in the game, it’s still able to put together random maps in a fairly compelling way. It makes me think of Infinity tables. 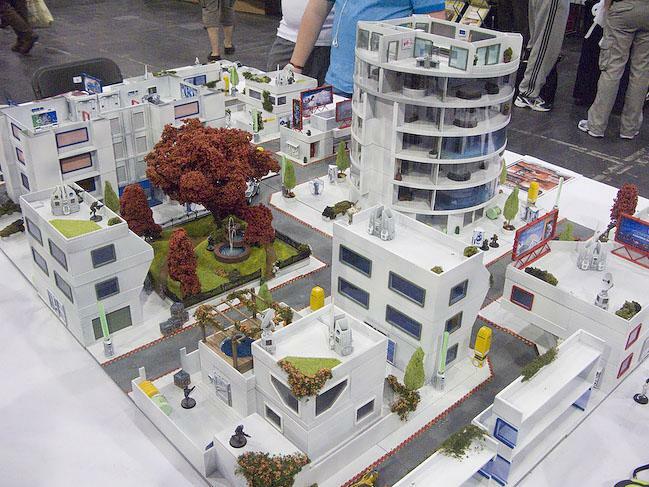 There are major set pieces (cells) with scatter terrain (connectors) and smaller buildings (rooms), all forming the game board. Mostly, these pieces are hand-placed by one or more players before the game starts, and they then circle the table, eyeballing sight lines and other details, before deciding that the table is fit to play on and starting a game. Because of this, Infinity draws a lot of attention from passersby, because the tables it’s played on are generally very intricate. No unavoidable corridors running the length of the table. No sniper towers that can cover the entire board. Plentiful cover and places to hide behind, out of sight. Good opportunities to use every type of weapon– from short range to long range. (Advanced) One side should be slightly more advantageous to start on than the other. (Advanced) Objective locations for the missions to be played on the table should be relatively even. 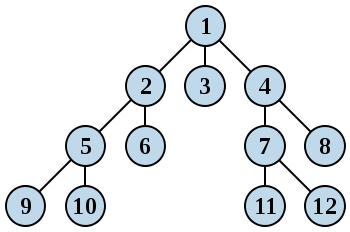 (Advanced) Multiple tiers of elevation, and ways to reach them. (Advanced) Multiple exits from points on the board, to prevent getting locked down. (Advanced) Models of all sizes need to be able to maneuver. It’s a lot of rules, but a lot of players who are used to the game just sort of internalize them. Very rarely does anyone go down a checklist of the above, but you’ll occasionally see someone look at a table and say “hmm, this is too open” or “this is too crowded”. Playing the game enough, and getting experienced enough, allows you to see the problems with a table once you’re practiced at it. it’s not easy to do– I played a game recently with another very experienced player where we both thought the board looked reasonable until we started playing on it. The same attention and care goes into level design elsewhere. 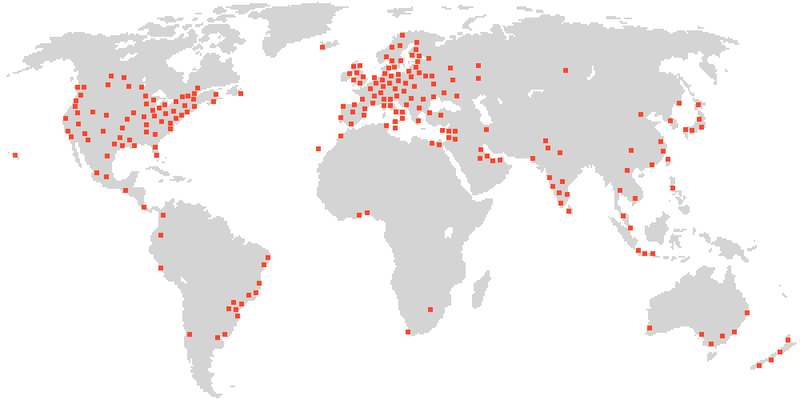 When League of Legends was first released, people criticized it for “only having one map”, and games are often judged for not having an adequate number of maps to play on. I remember Counter-Strike and Unreal Tournament, and the large number of maps those games had, of which maybe two or three ever got seriously played. The single map of League (and the smaller numbers of maps in other games) tend to have a lot more going on, and are carefully and thoughtfully created. Game spaces are really important. They need to be functional, navigable, and visually appealing, and varied enough to stay fresh and not get boring. I remember complaints about the original Halo, and its endless samey levels towards the end of the game, and the major complaint of the first Assassin’s Creed that it got too repetitive. It’s telling that some of the biggest changes in those two games were in their level design, with AC going to an entirely new location with new architecture and Halo varying its levels much more in its sequels. Probably a lot of my care for good level design comes from a childhood playing Thief. That game’s area layouts were the lynchpin of the experience, and made the game in a lot of ways. I pay attention when levels are interesting and matter, as opposed to being irrelevant, or an afterthought. Forgive me the break from usual gaming and business-y posts. It’s been a bad week for beloved celebrities, and I’ve seen a lot of people expressing their grief in a variety of ways. A conversation I had yesterday sparked this post, a friend suggested I write what I told him on my blog, so here we are. I have had perhaps the gentlest introduction to death anyone could ask for. My parents are both doctors, and in the medical field death is an inevitability. A lot of people dislike or distrust doctors for their clinical detachment– it feels, to them, like the doctors don’t care. Growing up with two of them, I can say the opposite is true, at least for my parents. The detachment is what keeps someone sane when they literally hold people’s lives in their hands every single day, when they can get a phone call at 3AM and have to jump out of bed and rush to the hospital, no time for coffee, barely time to get dressed, in order to see to a patient whose treatment couldn’t wait until sunrise… and then work a full day with the patients whose treatments COULD wait. I remember dinner conversations where, growing up, I thought the casual mention of a patient dying was shocking– how could something so serious get brought up so casually? In hindsight, I realize that was my parents’ way of remembering each patient who died. You’ll note I don’t use euphemisms like “passed away” or “left us”– my parents avoided using them, possibly in order to honestly internalize the weight, possibly because neither of them are much for sugar-coating reality, so I’ve never picked up the habit. In a similar vein, I was never told the lie, growing up, that my parents would be around “forever” to take care of me. They would always say “as long as I can”, and it was just as comforting to me as the lie would have been. I remember correcting a babysitter at one point, who told me that my parents would be around “forever”, and I told her they wouldn’t, because people don’t live forever. I think she, in her twenties at the time, was somewhat put off by this coming from a seven- or eight-year-old’s mouth. I don’t really talk about my views on death very often, because it tends to put people off. I feel like life is inherently limited, and that accepting death is a very personal thing. I am less sad about the end of a long life well lived than I am about a life cut short too early, potential unrealized. 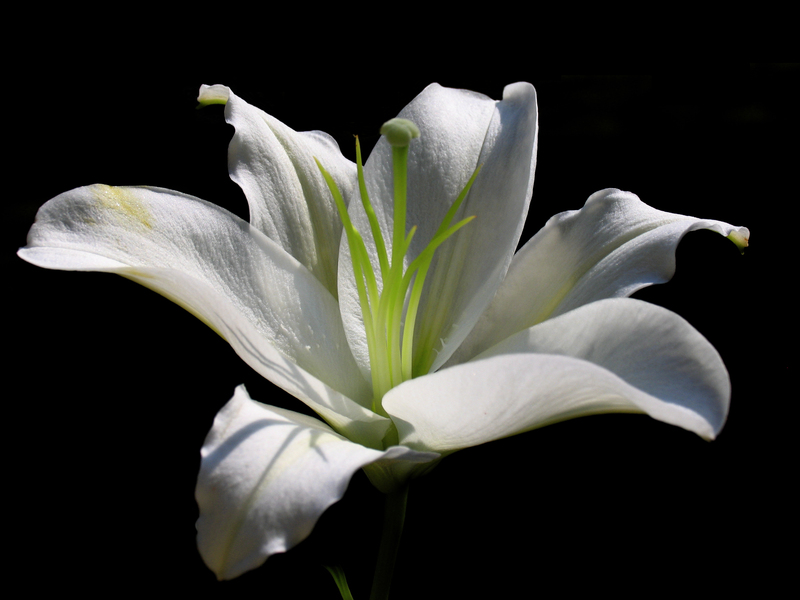 I understand why we have funerals, but I’ve always thought it a pity that they’re such somber affairs, rather than individually tailored to the person, the way we do with weddings. The end of a life well lived should, I feel, be a raucous celebration akin to the last dance at a ball, a final party to mark the end of a good run. This bothers some people, who feel like that’s inadequately respectful. I dunno, I kind of think I’d want the last big gathering of my friends and family to be an outing that I’d actually want to attend, were I still around. Last night we managed to get a group together for Warframe– Ash, Bel and I got together and rocked some missions, it was a ton of fun. I want to dive in a little bit more to talk about why, after the initial coolness of motion and combat has settled down a bit, I’m still really interested in playing more of this game. I started with the Volt frame, and I’ve since picked up a few other frames (Ember, Trinity, Ivara), and traded a few rare items I’d picked up for the start of a Prime frame. 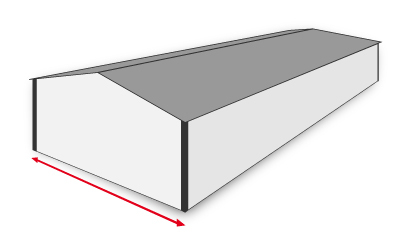 A “frame” is essentially a character, like in League of Legends– they have their own stats, their own unique abilities, and their own appearance. 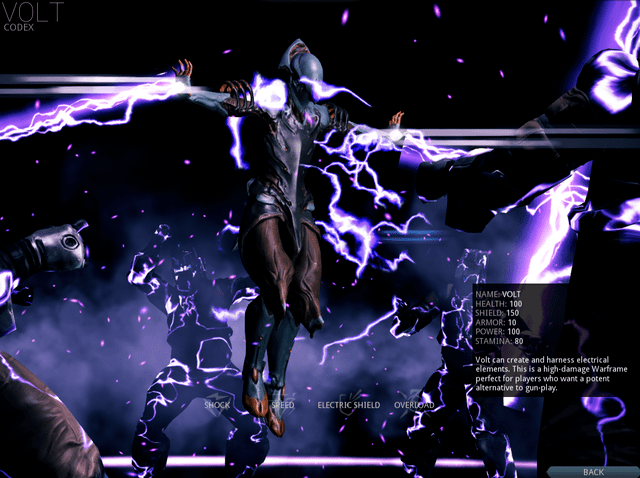 A Prime frame is essentially a souped-up version of a standard frame, with better stats and usually a unique trick or two. They can’t be bought on the store, the parts have to be found on missions and constructed. I’ve played a LOT in the last few days. I’ve got a goodly selection of mods, I’ve got a decent sense of how to level them up and how a handful of different frames play, and I know how crafting and various other systems work. Ash has about the same knowledge of the systems with a bit of a deeper understanding of the item stats and how they interact, but less playtime and thus fewer levels on fewer frames. Bel started playing this afternoon, with basically no knowledge of the game other than what he’d read about. Bel played the first two tutorial missions, roughly twenty or thirty minutes’ worth, and then Ash and I jumped in with fresh, unlevelled frames to join up with. The entire thing was seamless. What’s more, I had an unlocked mission that the other two did not, and I was able to load it up and bring them with me. Ash and I ran a mission that he wasn’t even close to unlocking, and when we beat it he got unlocks for the other surrounding missions, just as if he’d reached it normally. We were able to then go and fight the boss of the planet and unlock the next planet in the series. We also jumped into a mission with wildly uneven frame levels, and it worked just fine. I wasn’t overpowered and dominating the mission any more than he was underpowered and struggling. This includes story missions as well– Ash and I jumped in on several of Bel’s story missions and got XP and useful rewards, despite having played them already. I have a hard time expressing how much I like this. Levelling up isn’t meaningless, but it is in no way an impediment to you playing with your friends. I could jump in with a max level frame with my friend who’s just started and we’d still be able to have a good time. 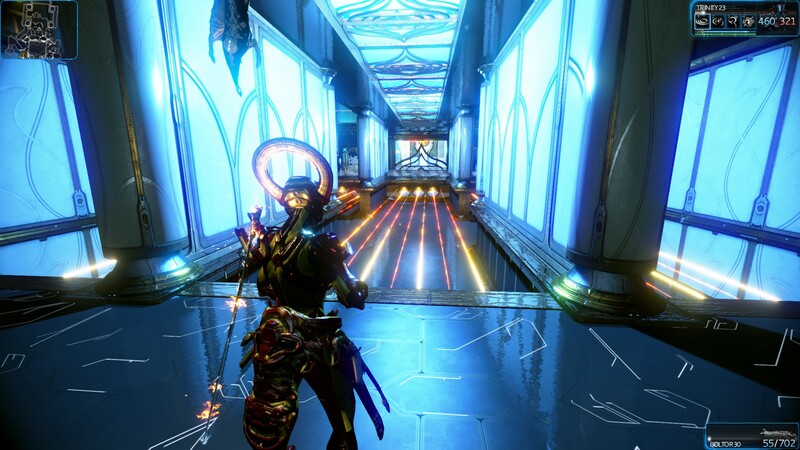 I can carry over my progress on weapons and mods to a new frame I choose to play to get a little boost, or I can start totally fresh with an unlevelled frame and weapons with a buddy, and play at exactly their level while still benefiting– credits, XP, and levels on new frames are all worthwhile. There’s even a player level, which rises much more slowly than everything else and requires that you pass an exam to level up. Exams can only be attempted once per day, whether you succeed or fail. Raising your player level unlocks new options for weapons, frames, and various game features like trading and factions, but has little effect on your frames themselves. What I find interesting is that it doesn’t rise with XP earned, it rises as you level up frames and weapons. In order to get a high player level, you NEED to keep trying new weapons and frames and levelling them up, so you want to level up something new with a new friend who’s joined the game. Kodra is out of town, but I suspect he’ll like the game once we get into it and have his own set of favorite frames. I have a frame set aside to try out once we can play together, as does Ash (I believe), and none of it will feel unnecessary or like it’s holding us back. The whole setup is very elegant, and brings a “play with your friends” mentality that I found absent even in games like Borderlands, Destiny, or even the majority of MMOs, where even a mild level or gear gap was significantly noticable. When I go on about games needing to let you play with your friends, and removing “levelling”, Warframe is a prime example of what I’m talking about. Sure, individual parts of the game have levels, and increase in level as you play, but none of them separate you from playing with other people, and the biggest “overall” level (your player level) is largely insignificant in actual gameplay. Levelling is distributed across a wide variety of parts of the game, and the sense of progression and advancement isn’t diminished. 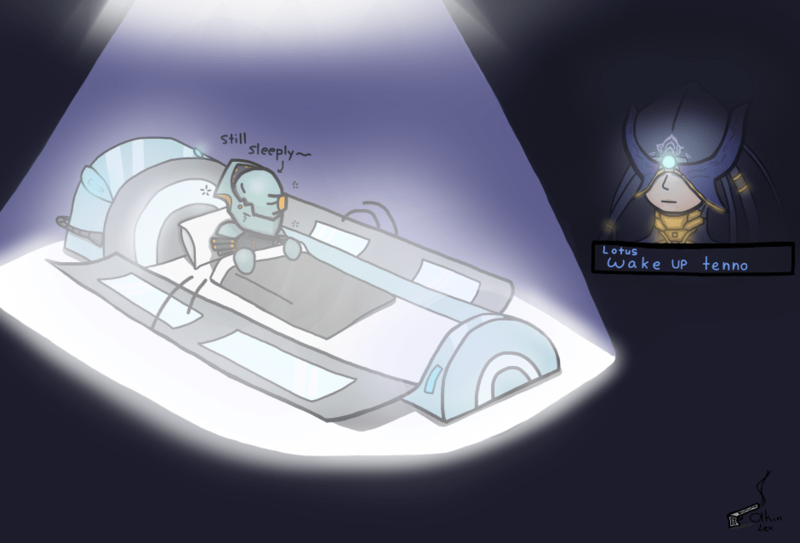 I’ve been playing a goodly amount of Warframe lately. I played it a bit very early on, while it was still kind of half-baked and just barely out the door, and I basically hated it. It had a neat concept — acrobatic ninjas in space — but I didn’t really feel like the levels made me feel like a ninja, the weaponry and starting “character” I got weren’t to my tastes at all, and I couldn’t really do any of the cool stuff I felt like I should be able to. I also found the visuals unappealing– gross organic green and brown, and I couldn’t do anything to change them. On top of all of that, everything on the store felt ludicrously overpriced– $30-40 for a new character to play, $15 for a new gun, etc. Without being able to try any of these, there was no way I was going to pay that kind of money. I’ve been looking for a new cooperative game, though, one with some meat to it, and Warframe came up again. Ash really liked it, and wanted to play more of it, so he’s jumped in along with me. The very first thing I noticed is that the game actually has a tutorial now, one that sets up some basic motivations and grounds me in the world. It’s not any deeper than, say, Destiny, but it’s somewhat more coherent than Destiny was to start. I’m going to refer to Destiny a lot in this post, because Warframe and Destiny share a lot of similarities. They both have a mission-based structure with lots of collection of materials used to create new weapons and armor. The biggest and most noticable difference is in the movement. 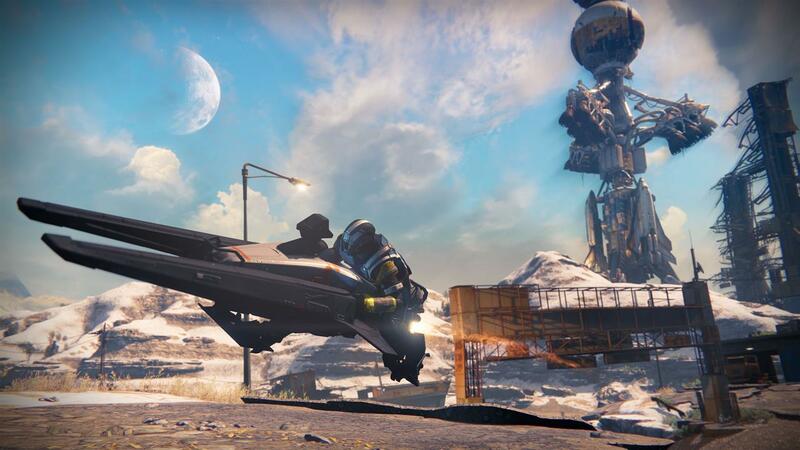 Destiny has some incredibly tight controls, some of the best in video games, but its movement is pretty staid. 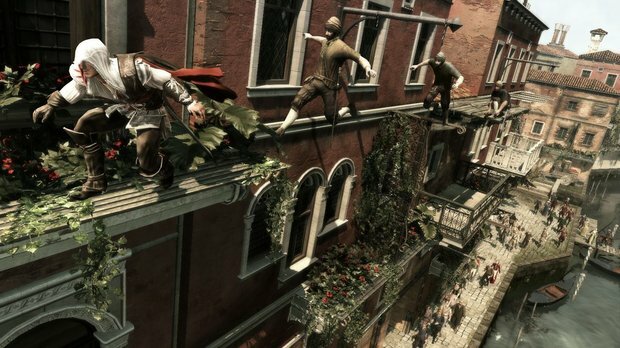 You walk around on a surface, there’s not a ton of verticality (maybe two or three tiers of flat platforms), and you’re limited to a fairly low jump and whatever your class’ special movement power is, which is the most fun part of movement but tends to be somewhat limited. You also get a vehicle, a fairly cool looking jetbike that amounts to a big bonus movement speed buff, but doesn’t add any new options (and you can’t shoot while on it last time I played). In Warframe, movement is incredible. It’s the difference between 3D Zelda games and Assassin’s Creed. The first is very servicable and very tight but not necessarily fascinating, the latter opens up an entirely new world of motion. Warframe, by default, gives you a broader set of movement options that nearly any other game I’ve played, and THEN you can adapt those and unlock more. You have double and sometimes triple jump as a default, you can wall-run, wall climb a la Mega Man X, dodge roll, slide tackle, and at least one that I’m probably forgetting and Ash will mention to me later. There are also combinations of these– you can slam the ground while jumping, slide into an incredibly satisfying forward dive, propel yourself off walls to attack enemies, and so on and so forth. To add to this, the levels are designed to make this not only feasible, but fun, with tightropes for you to ninja-run across and plenty of walls and gaps for you to essentially fly past. Movement is so much fun that I do more melee in the game than almost anything else, despite my penchant for playing a sniper-type character that the game hugely supports. Despite having INCREDIBLY satisfying sniper gameplay, I’m still closing to melee and skirmishing, something that I pretty much never do in this kind of game. Opting for melee means that I can dive and jump across the battlefield to my targets, which is an absolute joy. 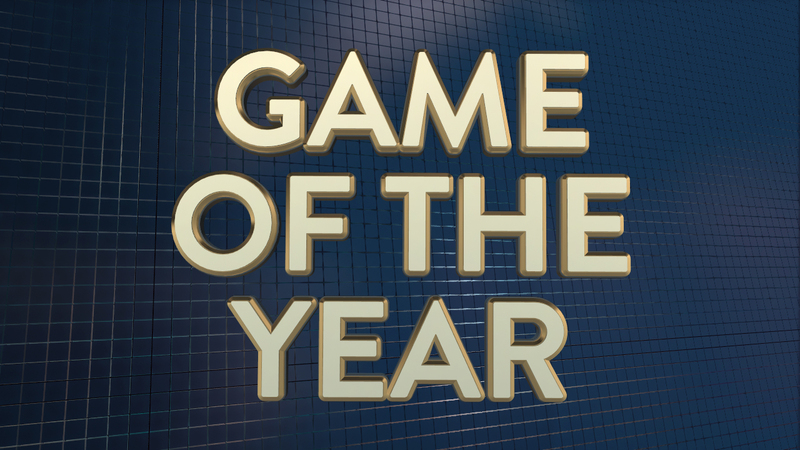 The two games that Warframe reminds me of are Mass Effect 3’s multiplayer (which I love), and Destiny (which I didn’t, but I understand has improved dramatically). Neither of them have movement as fun as Warframe, and that movement makes all the difference. It’s an extra verb other than “fight” that the game has made fun and compelling, and I would play an enemy-free level that was a ninja footrace through a crashing spaceship or something, just because that would be incredibly fun. As I research the game while writing this, I’ve found that this actually exists as part of the Clan system, their equivalent of guilds, so I’m going to wrap this up and go look into that. Adding more verbs to games really makes the experience richer and a lot more interesting. Warframe has a very competent combat engine, but its movement is what really sets it apart. I’m really interested in seeing what kinds of verbs we see in games, and which ones get added. 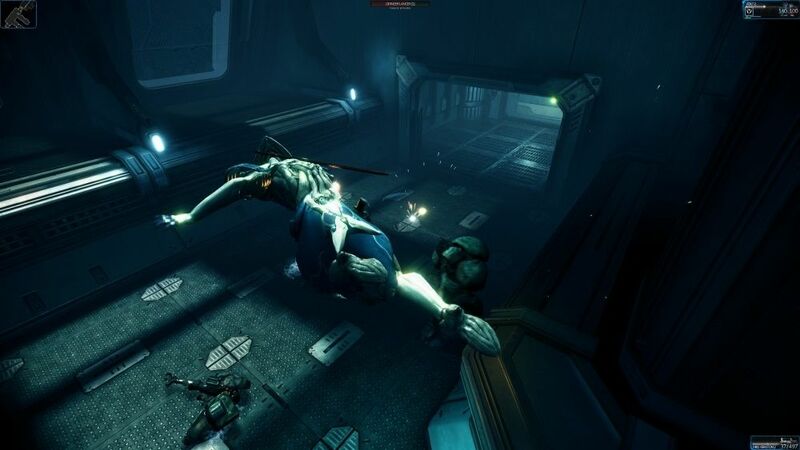 Warframe’s “vehicle” mode is a flight game in full 3D, which I’m very interested in checking out. Part of why I like stealth games is because they add another interesting verb — “hide” — to the usual mix, and often have fairly interesting movement to boot.